Deborah Miller lives in Lincolnshire with her partner and daughter. She has been writing fiction all her life, mainly fantasy but also some science fiction and horror. 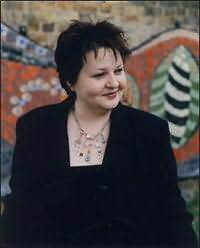 In 1993 she was short listed for the Ian St James award, reaching the top fifty from a record entry of 8,000 for her short story 'Dinosaur.' Since that date she has worked on novel length fiction although also working full-time as a Technical Editor. In 1999, after reaching agreement with Simon and Schuster's Earthlight for the sale of her first novel Talisker she was made redundant from her job and so decided to dedicate herself to her writing full-time.